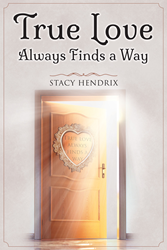 Recent release “True Love Always Finds a Way” from Page Publishing author Stacy Hendrix is timeless tale of finding true love. When Dakota Durham stumbles upon an ornate door from over a hundred years ago, the unexpected occurs and changes the lives of two people. Stacy Hendrix, has completed his new book “True Love Always Finds a Way”: an ageless tale that delivers true love to an unsuspecting man who salvages an ornate door from an abandoned lot. The door is inscribed with hearts and the words: “True Love Always Finds a Way”. When this modern man-Dakota Durham hangs the door he has found, unbeknownst to him, he opens up a portal to the 1870’s where he encounters a beautiful woman who never found love during her lifetime either. Together, these two people from separate periods in time find love they were never able to find with their contemporaries. Published by New York City-based Page Publishing, Stacy Hendrix’ “True Love Always Finds a Way” is an enduring and romantic tale of finding love from another lifetime. In 2004, in Ripley, Tennessee called Ripley a young man, named Dakota Durham. Dakota sought to share his life with someone, yet struggled to find true love. By chance, love enters the lives of two deserving people from different time periods, proving the everlasting nature of love. Readers who wish to experience this work can purchase“True Love Always Finds a Way” at bookstores everywhere, or online at the Apple iTunes store, Amazon, Kobo, Google Play or Barnes and Noble.